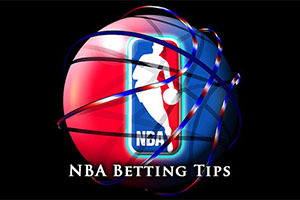 What is Sunday for but watching sports, having fun with your friends and making a few bets? There were a good few games on Saturday in the NBA, but if you missed out, don’t worry, because there are some exciting games on offer today. As for Saturday, the Suns grabbed a great 90-99 win in New York while the Trail Blazers were triumphant by a score of 88-114 in New Orleans. The Mavericks grabbed a big home win against the Spurs, defeating the champions by 99-93 and the Clippers bagged another Los Angeles win, defeating the Bucks by a score of 106-102. The Hornets dismantled the Jazz, winning by a score of 104-86 and the Hawks found that 104 was a winning total in Houston as they defeated the Rockets by a score of 97-104. The Nuggets came out on top of the Pacers in a 76-73 game in Denver. The Celtics hold a 10-14 record, with a 3-6 record away from home, while the Heat hold a 12-15 record, which includes a 4-9 record at home. The Celtics have managed to win three games in a row, giving them a 3-2 record in their last five games while the Heat have lost their last two games, and they hold a 2-3 record in their last five games. The Celtics started their post Rajon Rondo with a win on Friday, defeating Minnesota by a score of 114-98. Kelly Olynyk was the main man for Boston, grabbing 21 points but a total of six players made it to double figures for the Celtics. The Heat are struggling badly at home and the 103-105 loss to Washington on Friday night was their 8th defeat in 9 home games. Dwyane Wade grabbed 28 points but even he made some big errors as Miami slumped again. Vitor Faverani is a major doubt for the Celtics while Marcus Smart is being monitored and the Heat are monitoring Danny Granger while Chris Bosh is giving Miami greater concerns. This is likely to be a close game but with a bit more current form, taking the Celtics at a +2 handicap, with odds of 1.90, should kick-start your Sunday basketball betting fun. Bet Now! The Lakers have an 8-18 record, with a 5-8 record away from home and the Kings have an 11-15 record, with a 6-9 record in Sacramento. The Lakers have lost their last two matches, going 2-3 in their last five games while the Kings have lost their last five games. The Kings suffered a narrow 107-108 loss against the Bucks on Thursday. While the return of Cousins, who grabbed 27 points and 11 assists, was a great boost, it was Cousins that missed a jump shot at the buzzer, which could have turned a loss into a win. The Lakers also had a narrow loss in their last game, losing out 103-104 to the Thunder on Friday. The Lakers are keeping a close eye on Wesley Johnson and Jordan Hill while the Kings could be without Omri Casspi while they are monitoring Rudy Gay, Reggie Evans and DeMarcus Cousins. Taking the Lakers with a +7 handicap, at odds of 1.90, may be just the ticket for successful basketball betting on Sunday. Bet Now! The Suns hold a 14-14 record, with an 8-7 record away from home. 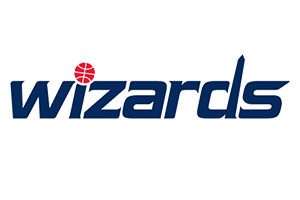 The Wizards hold a much more impressive 19-6 record, which includes a 13-2 record in Washington. The Suns have managed to win their last two games, with a 2-3 record in their last five games while the Wizards have won their last 6 matches. A Friday night win Miami was a great result for the Wizards, pulling in a 103-105 win. John Wall grabbed 20 points on Friday night, as did Nene. Paul Pierce provided 14 points and Bradley Beal served up four three throws in the last 11 seconds of the game. The Suns had an excellent 90-99 win in New York with Eric Bledsoe grabbing 25 points and 10 rebounds, with Isaiah Thomas picking up 22 points. There aren’t too many injury concerns going into this game. The Suns are monitoring Gordan Dragic while Paul Pierce is being looked over regularly by the Wizards. Taking the Wizards with a -6.5 handicap, at odds of 1.90, should provide you with some excitement for Sunday. Bet Now!